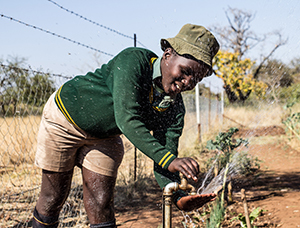 When children have access to clean water, they no longer leave school premises to look for unsafe water to drink – or run the risk of water-borne illnesses. Their mothers are also able to collect clean water when they drop off and pick up their children from school! In the same way that Black Friday and Cyber Monday kick off the holiday shopping season, #GivingTuesday kicks off the giving season. It was created in 2012 as a global day of giving back and doing good for others.